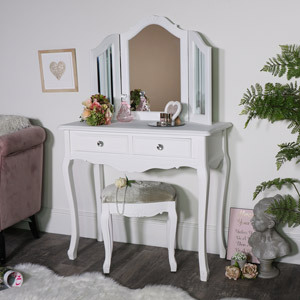 This White Dressing Table, Mirror and Stool Set from the Victoria Range is perfect furniture for lovers of vintage, shabby chic or French style furniture and home decor. 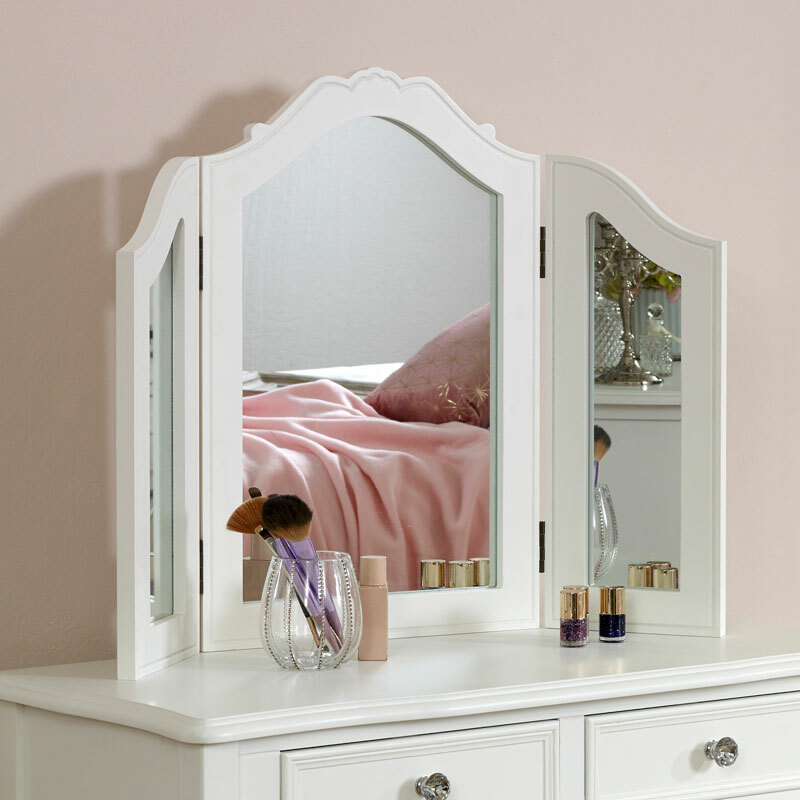 Part of a furniture set, this dressing table set would look beautiful in a bedroom or dressing room. 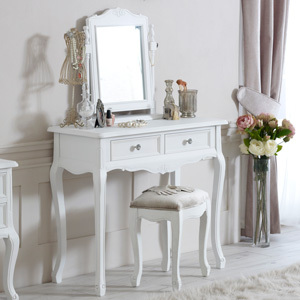 Vintage, glam elegance with ornate carved features and crystal handles. 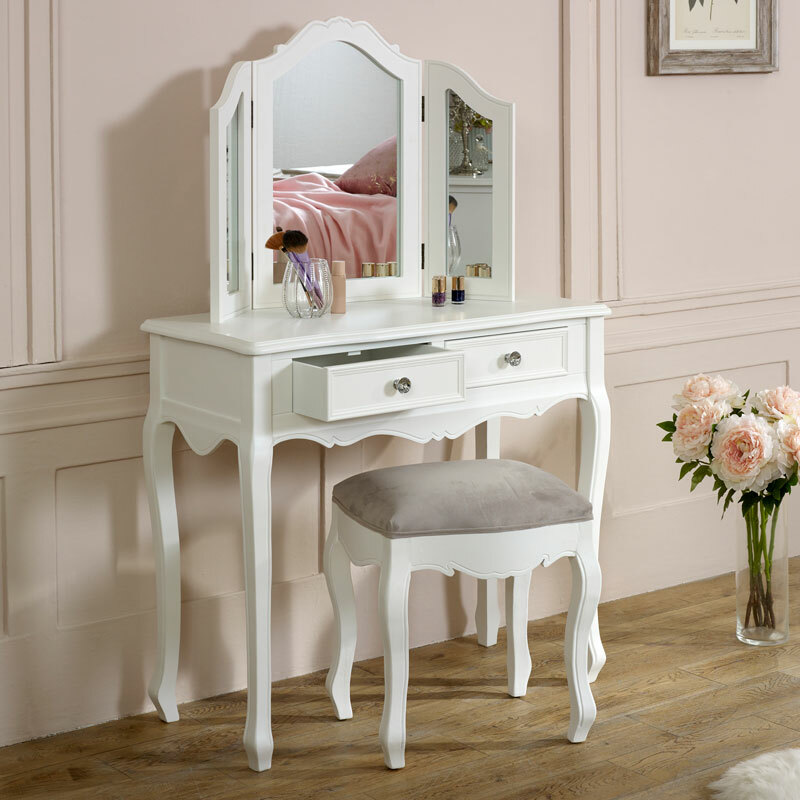 The set comprises 2 drawer dressing table with grey velvet upholstered stool and triple tabletop vanity mirror. 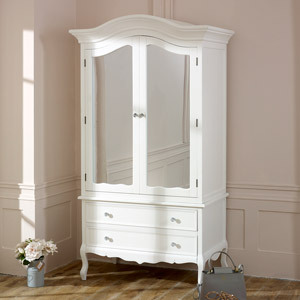 The Victoria Range includes more furniture for a stunning interior. 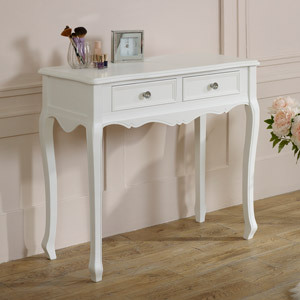 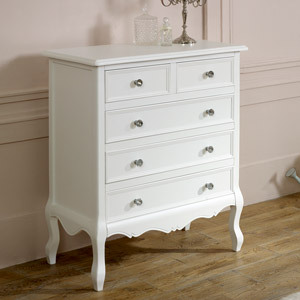 This dressing table will help to create that perfect bedroom of your dreams, stunning in a white satin painted finish. 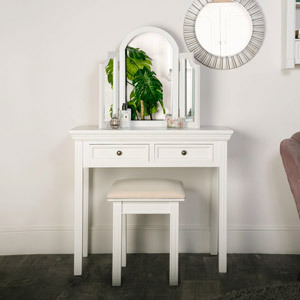 This White Dressing Table, Mirror and Stool Set from the Victoria Range is perfect furniture for lovers of vintage, shabby chic or French style furniture and home decor. 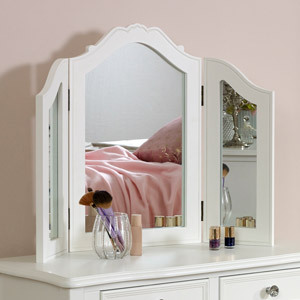 Part of a furniture set, this dressing table set would look beautiful in a bedroom or dressing room. 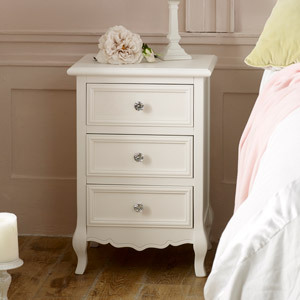 Vintage, glam elegance with ornate carved features and crystal handles. 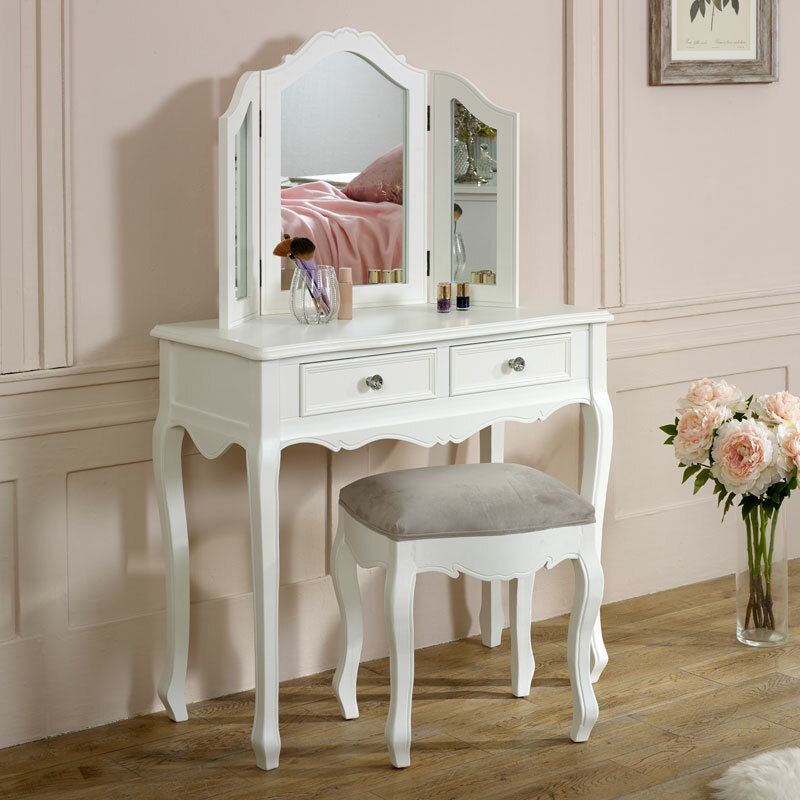 The set comprises 2 drawer dressing table with grey velvet upholstered stool and triple tabletop vanity mirror. 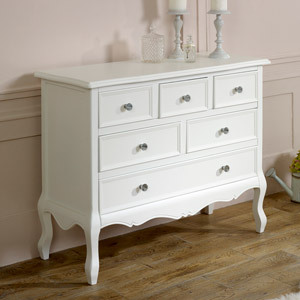 The Victoria Range includes more furniture for a stunning interior. 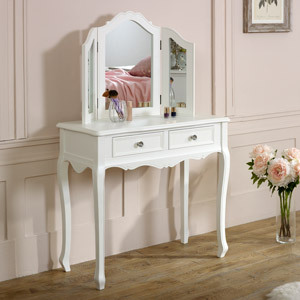 This dressing table will help to create that perfect bedroom of your dreams, stunning in a white satin painted finish. 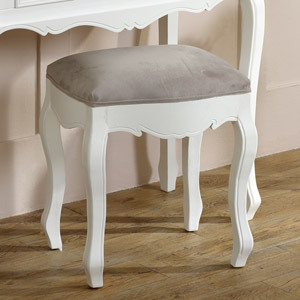 Made from wood in a white finish with soft grey velvet fabric on the stool. 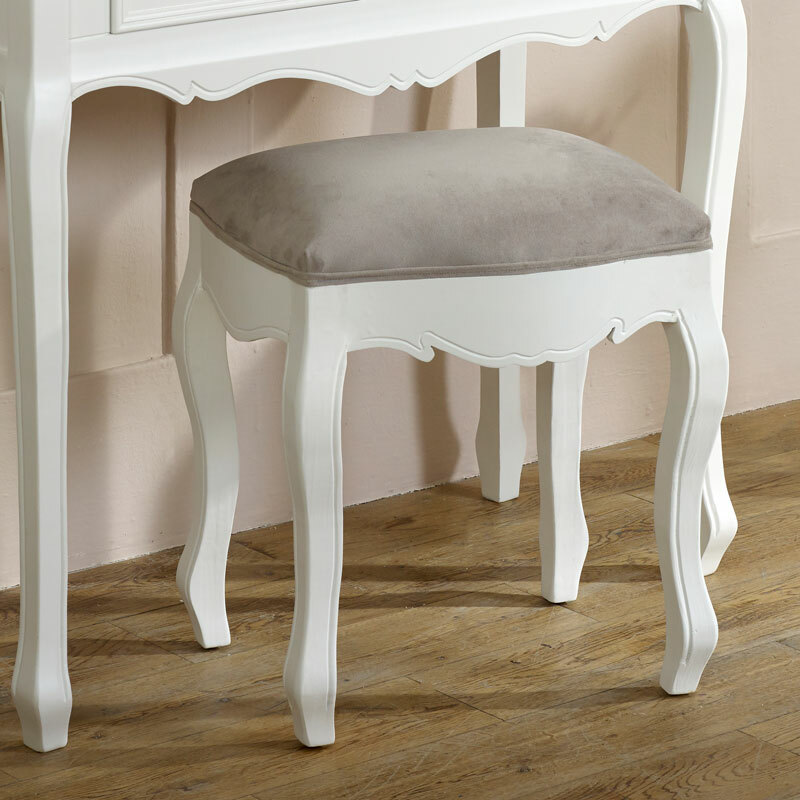 There is some assembly required on the table which is quick and easy to do and all fixings provided.